I have compiled five ways on how to keep my days productive in the home office environment. These ways have ensured that the plan gets accomplished and no time is wasted on secondary stuff. So even if they are “my tips”, you can definitely take advantage of them in your own work too. One of the most helpful ways to keep me focused at work is to ignore my inbox for the most of the day. In fact, sometimes, I have almost forgotten to check my e-mail for the entire day, because I have been so deeply involved with other important tasks. My attitude towards my e-mail inbox is that you should treat it the same way as you treat your regular mailbox. For instance, with a regular mailbox, you most likely check it just two (sometimes three, depending of the day) times per day: once in the morning, once in the afternoon and sometimes in the evening (we get also an evening paper that is delivered two times per week). However, outside of those times, your mailbox stays empty. You don’t rush to your mailbox every ten minutes just to see if there is anything new in it. Since you know that mail arrives at certain times of the day, you simply check your mailbox then. Now take this same principle towards your e-mail inbox too. If you decide to do this, you have two ways to implement this strategy. 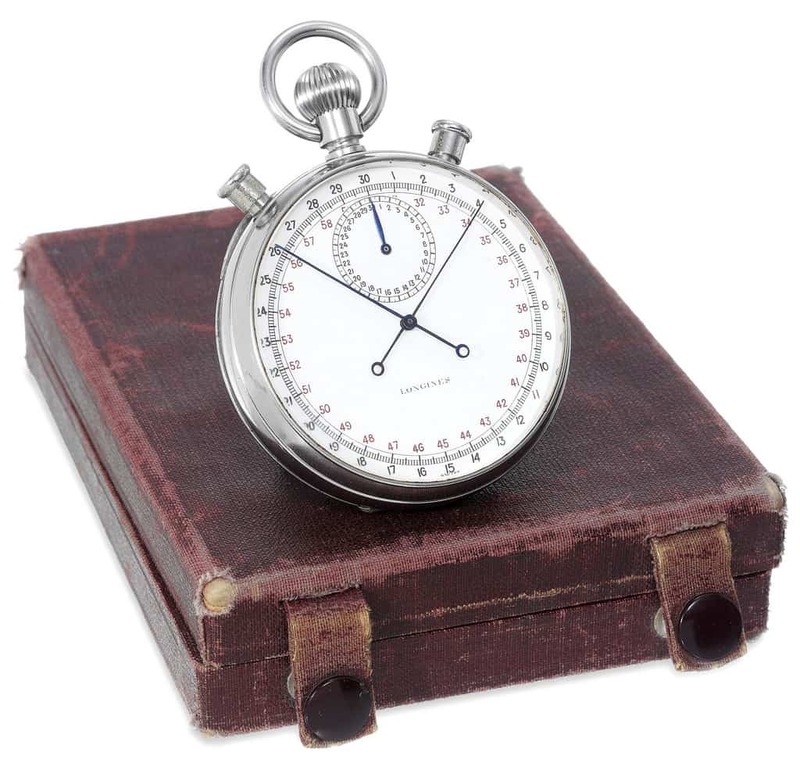 First, you could define your e-mail checking times, two (or three) times per day, 15-30 minutes each: once in the morning (but after you have worked for a while first), then once in the afternoon. And when you open your inbox, you process all of the messages at once during that pre-defined time window. Once you have processed your inbox this way, you close your e-mail client and only open it when the next pre-defined time window comes around (unless, of course, you have an assignment that needs some information from your e-mail or you are expecting to receive an urgent message from someone). The other way to execute this strategy is to use an application. It’s called BatchedInbox and it can schedule the times when e-mails land your inbox. Once you have scheduled your incoming e-mail with BatchedInbox, there is no point checking your inbox all of the time, but just during those pre-determined times when the e-mail actually arrives. One of the major ways that improved my productivity was switching to 90-minute work sessions. Yes, I know, a lot of people talk about The Pomodoro Technique or 52:17 nowadays, but I decided to give the 90-minute technique a try and it’s now my preferred way of working out. This 90-minute block technique can also be referred to as the Ultradian Rhythm. In other words, this way of working conforms to the natural “wavelength” of body, something that is inside every single one of us. Decades ago, a sleep researcher called Nathan Kleitman found that our sleep consists of 90-minute cycles. He also found that this very same rhythm occurs in our daily lives when we are awake too. So how do you notice this in your life, too? Well, there are times of the day when we are full of energy, while at some other times, we feel more tired and unable to focus properly. Your working times should be built around those high-energy times, while the low-energy ones would be the times used for recharging your batteries. The way I apply this knowledge to my work day is as follows: after waking up, I tend to work at least one 90-minute time block before breakfast. Also, the rest of the day consists of four of these 90-minute blocks, giving me plenty of focus towards my tasks. To take my focusing even further, I always work with a timer. My preferred tool is called GrooveOtter, which is a web-based one. It helps me notify when the work block ends and when to take a break. After 90 minutes have passed, I take a 20-minute break. This time period is very important, as it helps me to renew my energy and gives me a boost towards the next 90-minute block. During my break, I could for instance take a nap, take a walk outside, meditate or just go downstairs and make myself a cup of coffee or tea. Now, I would be lying if I told you that every day goes exactly according to this plan. Perhaps, on some days, I take a longer lunch break. Or, perhaps there is a meeting in the middle of the day, which changes the daily structure a bit. Nevertheless, I try to follow the 90-minute cycle as much as possible. And so far, it has helped me a lot with increasing my productivity. Sitting is new tobacco. There are many studies showing that extensive amounts of sitting have been linked to various health problems, such as heart attacks, high blood pressure or increased risk of kidney disease. So what can you do in this kind of situation to prevent too much time spent sitting? Well, you could always buy a desk - either a standing or a treadmill one - but that may not work for everyone. Instead, what you can do is to get up from your chair from time to time and do something else for a while, until you return back to work again. Although I talked about the breaks in the previous tip, you should still have some activity inside your working blocks too, which breaks the sitting period. This could be done by doing certain tasks standing, like having a stand-up meeting, making calls or reading some paper-based documents standing (or electronic ones through your tablet). In addition to doing as much work standing as possible, I also try to get up on a regular basis, even if it’s just for a moment. Studies have shown that a good way to break your regular working rhythm is to stand up every 20 minutes. In fact, you can also include one to two minutes of movement when getting up, as has been suggested by the Cornell Economics Lab. So how do you know when to get up, then? By scheduling the times when you get up. For instance, I’m using a Chrome app called Bell of Mindfulness, which plays a gong sound every 20 minutes. That way, I know when to get up, stand a bit, jam to the music I’m listening to (yes, doing this at home is perhaps easier than in a cubicle :D), or walk to the window and look outside. OK, so working at home does tackle some of the sources of distraction that are otherwise present in a normal office environment. But once again, no environment is perfect and there are certain distractions that you have to be aware of, even when working from home. In the following section, I’ll suggest some ways on how to deal with these kinds of distractions. First, I make sure I have a piece of paper and a pen on the desk while I’m working. This helps me to keep my head clean. How? Well, every time I encounter a thought or idea that puts me off-track from my current work, the easiest way to deal with it is to get it out of my head. And the storage for these thoughts is the piece of paper on my desk, something which I call a distraction list. You see, every idea and thought is valuable when it enters my head. However, the most important thing to do is to get it out of there and onto the piece of paper. When a distracting thought is out of my head, I can continue working with much better focus towards my task. This is crucial, especially if you have small children in your home. The thing is, they would probably like to interact or play with you, just at the time when you are doing work. Sometimes, it could even be your spouse interrupting you in the middle of a working session, asking you to do something. That’s why clear communication is important: to set boundaries and let everyone else in the family know when you are available for them and when not. In my case, our son is still too young to understand the times between work and play. That’s why my wife acts as a gatekeeper to him, by not letting him distract me when I’m working. To let everyone know about your working times, sit down and have a discussion together about it. If further clarification is needed, these times could be also marked to a family calendar, either on an electronic one or a physical one (we have a paper based-one, hanging on the kitchen wall, where everyone can see it easily). I already talked about this, but I’ll mention it again: I work in 90-minute time blocks, followed by 20-minute breaks. I try to focus on one theme during my work session (writing, doing Amazon-related stuff, etc. ), but sometimes I’ll do two separate things inside my session. In those cases, I use inner time blocks to my advantage. Inner time blocks are nothing more than having two separate timers running at the same time (by the way, nothing stops you from having more than two, but things might get out of control). So, for instance, if I have two things I want to dedicate my time to, my 90-minute time block is split into two 45-minute parts. The first timer defines the 90-minute mark, while the other timer tells me when 45 minutes have passed. And once the 45 minutes have passed, I can continue working as usual - with another task - until the timer notifies me that the 90-minute block is over. Anyway, the timer is the key here. It sets the boundaries for my time blocks, not letting me work too much, and helps me know when to switch from one task to another. Power naps are my ‘secret weapon’ for re-energizing my day. These types of naps are very short in nature, taking approximately 20 minutes. Napping has many benefits, as found by research. For instance, a study (from the University of Dusseldorf) found that napping increased participants’ results in a memory test. And a test by University of California found that napping improved the brain’s learning capacity, too. But there is something else that I like about naps and especially power naps. First, they don’t take that much of your time and yet, they truly energize you and make you more productive after you have had one. What’s even more interesting is that they can be even shorter that what you would think. For instance, when I go for a power nap, I set an alarm to go off 20 minutes later. But considering that sometimes I have woken up a couple of minutes before the alarm goes off and it takes me a couple of minutes (5 minutes, I assume) until I fall to sleep, the total length of the nap has been approximately 12-15 minutes. And even in this case, I still wake up refreshed and full of energy. Second, almost every time I have taken a longer nap, say 30 minutes or over, I wake up groggy and getting back to the regular day groove takes a lot of time. But since power naps don’t make me groggy, I choose them over regular naps. Sometimes you can’t force yourself to be productive and in those situations, it’s time for a time-out. Let me share an example from my past. I woke up as usual, but I still felt tired and I had a light headache. Although I started my work day as normal, I wasn’t able to get anything reasonable done, so I stopped working. Besides, since the sun was shining and the weather was nice, I decided to go outdoors and take a ride on my mountain bike. I came back home one hour later and I felt totally different. Long gone were the tiredness and the headache and instead, I was full of energy. So sometimes, you just have to get up from your computer and do something totally different, until you get your productivity back. In my case, the trick was to get outside and do a bit of exercise. If you choose the exercising option, it doesn’t have to take as long as it took me. And naturally, if you haven’t done any exercising at all, consult your doctor first before getting into an exercise habit. There is a huge difference to my productivity when I have a plan and follow it, as opposed to when I do not. In the former case, I’ll most likely just wander from task to another, take a lot of extra (unnecessary) steps in my tasks and focus on secondary stuff. However, when I do have a plan in place, I’m able to focus better and this gives my productivity a big boost. Why? Well, I can just ‘cut to the chase’, without pondering what to do and without the risk of getting stuck with unessential things. Lets start with the electronic planning first. I start out my planning with the Wunderlist application (I’m using the free version). I pick the tasks for the coming day and the number of tasks depends of how much time I have available. For instance, when our son is on day care (say, on Thursdays), I have the chance to do a lot more writing and other work. On the other hand, he is at home on Tuesdays, so that’s when I have approximately four hours for my projects. On his home days, me and my wife take care of him in turns, so that cuts off the number of hours available for work. Anyway, there isn’t any particular number of tasks I try to accomplish every day. Rather, I try to have the most important things done, along with the daily routine stuff and education. In this very view, a task called Sälä (a Finnish word for miscellaneous) combines short daily routines that I have, like looking at my professional vision document or the things I want to focus my life on right now. At the same time, Daily Routine Tasks contains another set of daily tasks I do (note to self: perhaps this should be combined with ‘sälä’). This includes the daily planning that occurs at the end of the work day and that I use to create the next day’s schedule. The things like Write, Replace lead magnet, Amazon and Permafree launch are my most important tasks for this particular day. In other words, they are the top priority tasks for me, which I want to handle as soon as possible. Finally, I have Training & Education, which consists of reading and watching training videos on a daily basis. I feel that education is an important part of my life, so I want to find time for this activity too. Notice that I also list the total number of tasks under one project (inside parentheses), followed by a dash and the number of tasks I focus on on that particular day. If the number is replaced with the word All (or Kaikki = all in Finnish), my plan is to do all the tasks in that category in the coming day. While I have to add the numbers at the end of the task description manually, I still do it, because it makes my task list a bit clearer. Once I have the outline on paper, it helps me to see easily on what themes to focus if I get off track for some reason. This particular tip is really the reason why I’m writing you this article at 07:42 am in the morning. It’s also the cornerstone that makes me get up in the morning, eliminate as many distractions as possible and just get work done. You know, when you do work for yourself, there is no one telling you what to do, nor is there anyone giving you (well, rarely anyway) guidelines how to do something or when a task is due. Since I’m responsible for my actions and I’m my own boss, I also expect results. I also make sure I’m agile enough to change things if something doesn’t work. And in order to see if something works or not, I have to meticulously track, test and document everything I do. Make sure you are not wasting ANY time on something that doesn’t bring you results. Sure, you will make mistakes like we all do. But when you realize that something isn’t working, beating your head against the wall doesn’t bring those dreams any closer. You just have to do other things. So take action and take responsibility of your results. Would you like to learn how to work smarter (for free)? I just described how I work in a home office environment, but I have also written a book about this topic. It’s called Work Smarter Not Harder: 18 Productivity Tips to Boost Your Work Day Performance, and you can download it for free on Amazon (currently free on Amazon.com)! So head over to Amazon.com and download your book there. And after reading the book, please leave an honest review on it. 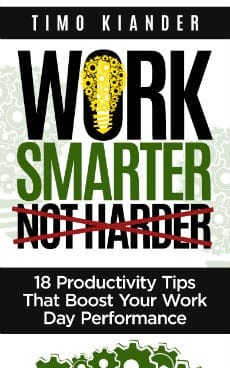 Work Smarter Not Harder: 18 Productivity Tips to Boost Your Work Day Performance, and you can download it for free on Amazon! you mentioned in the article as Free but it’s not free. Great article. I only work from home from time to time. But I’m going to take on some of your tips, especially the 90 minutes blocks and the working day. Thanks for the free book. Looking forward to reading it. Great to hear you liked the article! And thanks for downloading my book! Well first of all I’d like to tell you that I really love reading productive tips so that I could follow them. You’ve shared some brilliant tips here. I’m gonna download that free ebook on amazon now.